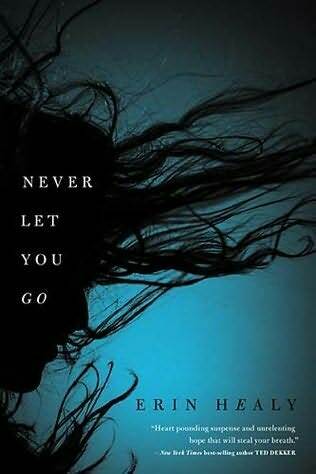 I was interested in reading Never Let You Go by Erin Healy because I read that she had co-authored two books with Ted Dekker. I’ve enjoyed numerous books written by Dekker, so I thought I might enjoy this novel as well. I knew that might contain spiritual elements to it and I was interested to see how they might be incorporated into the novel. Never Let You Go centres on Lexi, a young mother who has experienced a world of pain. Seven years ago, she watched her husband become a meth addict, she had an affair that ended with her lover murdering her sister and her father ended up in a psychiatric institution. Despite everything, she loves her daughter more than anything and she has worked multiple jobs to make a life for the two of them. Everything seems to come crashing around her at once. Her husband (who had left her) returns on the scene, as does her mother, who had left the family after her father was institutionalized. The man who is connected to all of the pain, whose name is Warden, also reappears, and he wants Lexi to testify on behalf of her ex-lover at a parole hearing and also wants her to settle a drug debt. He threatens both to shatter the life Lexi has worked hard to develop and the safety of her daughter if she doesn’t comply. This novel is complicated as there are a lot of characters and a lot going on simultaneously. It becomes apparent, early on, that Warden is either the devil (or an instrument of the devil) and a stranger that appears to help out Lexi, named Angelo, is really an angel sent to help them. I found this element of the novel frustrating because, in my mind, it was obvious that Warden was going to do evil things, Angelo was going to try and save everyone and the key to having a happy ending was that individuals in the novel would find salvation in various ways. To me, the fact that these elements were obvious slowed down the novel in many ways because there was a lot of action but the end result was obvious, which made the novel seems to drag on at various points. With that in mind, I did enjoy the novel. I wish that Healy would have made that part of the novel less obvious, and I wish she hadn’t tried to add so many characters and so much drama that the novel became overkill at various points. I did like Lexi’s character and I appreciated the themes presented in the novel – love and forgiveness can help heal people. I thought the novel’s premise was also interesting because the storyline was unique. I think people who enjoy Christian fiction and suspense novels might enjoy this book. I hope that, in her next novel, Healy might try to have less characters and make her message a bit more subtle and refined.